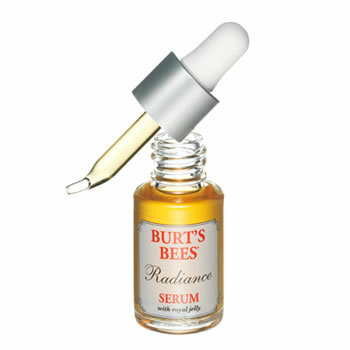 Burt's Bees Radiance Serum helps you get a more radiant complexion in just 4 weeks! This clinically tested serum combines royal jelly, licorice root extract and glycerin to bring out skin's natural radiance. These ingredients increase moisturization by 15% in only 2 weeks, while nourishing skin with 134 nutrients including vitamins A, C, D and K, minerals and 17 amino acids. In 4 weeks, you'll notice your skin becoming more even toned. The result is more radiant beautiful looking skin, naturally.